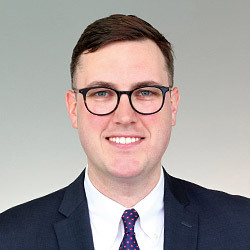 Michael E. Fitzgerald is an associate at Fowler Hirtzel McNulty & Spaulding’s Philadelphia Office. Mr. Fitzgerald focuses his practice on the defense of complex commercial, construction, product and general liability cases. He investigates and develops cases from inception to trial or settlement. Through drafting pleadings and discovery, strategizing with clients, and handling mediations and conferences, Mr. Fitzgerald finds the best solutions for the defense and resolution of the cases he manages. Prior to joining FHMS, Mr. Fitzgerald practiced with a large regional defense firm as part of the Professional Liability Practice Group. There, he focused his practice on defending property and insurance fraud claims. Mr. Fitzgerald also gained significant experience in the area of consumer financial services litigation, and advised clients regarding their compliance with state and federal laws. He negotiated settlements with adverse parties on behalf of corporate clientele and defended class action suits including federal consumer protection claims.